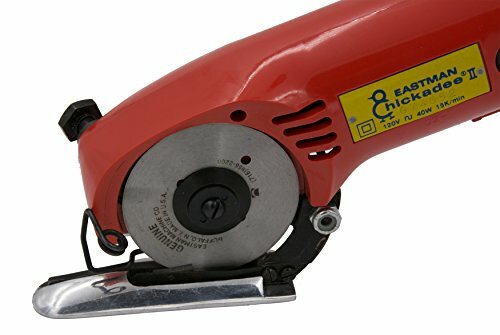 EASTMAN CHICKADEE D2 The smallest round knife available, the Chickadee® replaces handheld shears. The Chickadee is powered by Eastman's Perma-Field Motor and has 40 percent more power than any other handheld knife its size. This, combined with its streamlined, lightweight construction, helps eliminate operator fatigue. Blade size: 2 1/4"
If you have any questions about this product by Eastman, contact us by completing and submitting the form below. If you are looking for a specif part number, please include it with your message.